This page contains a directory of Italian clubs and organizations for people interested in socializing with other Italians and with Italian language students. Right now we are collecting listings of groups in English speaking countries, but we welcome suggestions for any other country. Suggest your favorite organization using the Reply box at the bottom of the page. 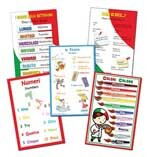 where you will find more resources for learning, reading, understanding and enjoying Italian. Have Fun with Bilingual Books in Italian and English! Browse a selection of books for Italian language students and bilingual children here. adults asilo association Australia books bookstore buy Charlotte children classes club culture Dallas event family heritage how to Italy kindergarten language resources Los Angeles Marin County Minnesota moms new york New Zealand North Carolina online Orange County Organizations playdates. preschools Salt Lake City San Francisco Schools search Seattle seminars shop Silicon Valley social South Africa teachers traditions workshops. ireaditalian.com Blog © 2019 All Rights Reserved.